An aphrodisiac used by the Aztecs, damiana grows in dry climates. It is rich in nutrients such as alkaloids, flavonoids, cyanogenic glycosides, tannins, and resins and is used for its stimulating properties. 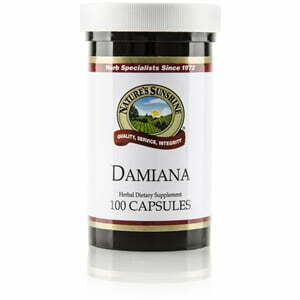 Additionally, damiana has been found to benefit both sexual and glandular health. 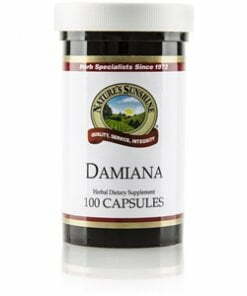 Nature’s Sunshine Damiana comes in 350 mg capsules.